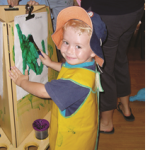 MyTime provides facilitated local support in a playgroup for anyone caring for a young child with a disability or chronic medical condition. 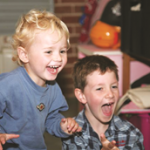 “I have been attending MyTime playgroup for over 12 months now and find it very beneficial for myself and my son Jonah. It provides a very friendly and welcoming environment for us both. It is nice to go to a playgroup where you don’t have explain your child’s behaviour to everyone and apologise all the time, as the parents and facilitators understand. It enables carers and parents to play with their child whilst having some adult conversation with the facilitators. They are always willing to listen to how our week has been, where our therapies are up, and pass onto us any information or invitations for special needs areas. It also helps with networking with other parents, we can all swap information and experiences which in turn helps with the progress our children. 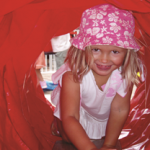 Looking for a playgroup where you can meet other parents and children in your area and can gain extra support? Interested in finding out more? Keen to enrol? Contact us to find out more about a group near you.